NEW YORK (January 13, 2016) – National Organization on Disability (NOD) President Carol Glazer today announced a new effort to formally recognize companies that demonstrate exemplary hiring and employment practices for people with disabilities. Called the Disability Employer Seal of Approval, this public, annual recognition is designed not only to applaud those companies who are leading the way in disability hiring, but also to encourage others to consider the many benefits of making an inclusive workforce a priority. What is the Disability Employer Seal of Approval? The Disability Employer Seal of Approval recognizes companies with exemplary hiring and employment practices. The Seal will be awarded annually to companies that are meeting performance thresholds in the areas of identifying and sourcing talent; on- boarding; performance management; corporate climate and culture; and tracking and measurement. Selection will be data driven and companies will need to re-qualify each year for the Seal. How does a company qualify for consideration? In order to be considered for the Seal, companies must register for and complete NOD’s Disability Employment Tracker(TM), a free tool for employers to confidentially assess their disability and veteran inclusion practices. New in 2016, participants will receive the free Disability Employment Tracker ScoreCard(TM) that gives companies key benchmarks and leading practices in disability employment. The 2016 Tracker survey will be live beginning today, January 13 through March 2, 2016. Seal winners will be announced in the Spring. To sign up for the Disability Employment Tracker and qualify for Seal consideration, simply visit www.nod.org/tracker. To date, nearly 90 companies already have taken the Tracker from industry sectors ranging from banking and telecom to insurance and retail. 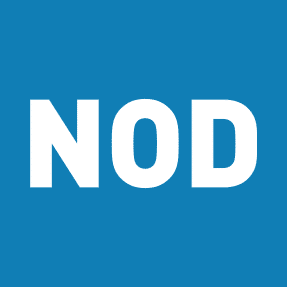 The National Organization on Disability (NOD) is a private, non-profit organization that seeks to increase employment opportunities for the 79 percent of working age Americans with disabilities who are not employed. To achieve this goal, NOD offers a suite of employment solutions, tailored to meet leading companies’ workforce needs. NOD has helped some of the world’s most recognized brands be more competitive in today’s global economy by building or enriching their disability inclusion programs. For more information about NOD and how its professional services, CEO Council of Corporate Leaders and Disability Employment Tracker(TM) can help your business, visit www.nod.org.